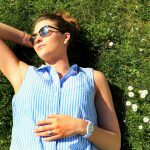 Home » Blog » All » Hot or cold therapy? 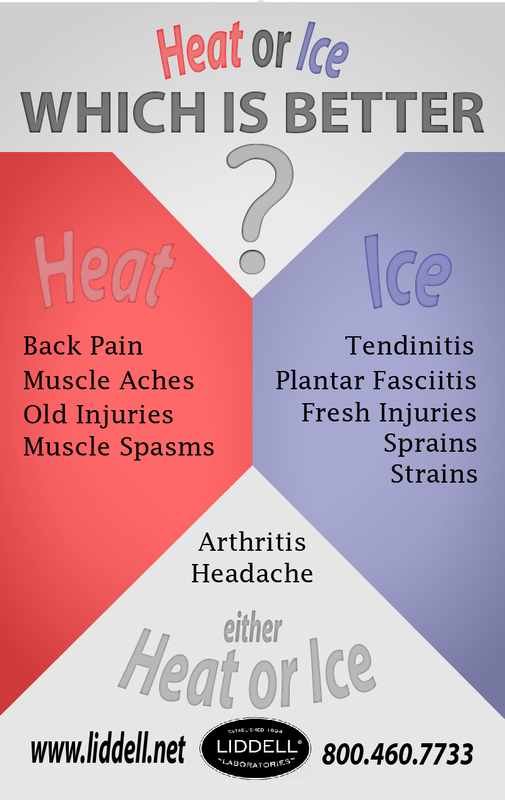 Which is better, ice therapy or heat therapy for your aches and pains? There is so much misunderstanding about which one to use and when that it might be good to review the appropriate time to use an ice pack and when it’s appropriate to use your heating pad. The short answer is that you should ice an injury and use heat on sore muscles. But there are some exceptions to that rule and until you understand why and how ice or heat works, you might end up doing more harm than good. Ice constricts blood vessels and is used for reducing inflammation and for minor pain control, and therefore suited to all sorts of injuries. Ice is best used with a fresh injury when the initial pain and swelling begins. The exceptions to this rule are: not on the back, where heat should be used exclusively: and not with arthritis where there is some debate on whether you should use ice or heat. I’ll talk more about that in a moment. Ice is also helpful with repetitive motion and tissue fatigue injuries such as carpal tunnel, tendinitis, shin splints and plantar fasciitis to name a few. Heat increases blood flow which relaxes muscles and joints, and should be used for sore muscles primarily. Heat can worsen inflammation and therefore increase pain. This is why it isn’t recommended for fresh injuries where there is still swelling present. As mentioned above, you should always use heat on any kind of back pain because back pain is rarely an injury caused by inflammation. Even when there might be inflammation it is usually deep in the back, under thick layers of muscles and no amount of ice could reach the source. You can continue to use cooling rubs such as a natural product like Muscle Ice. 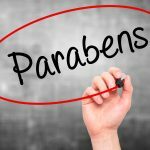 Despite the name, the cooling effect does not change the temperature of your skin but rather provides a soothing feeling. Heat is for chronic conditions, muscle pain and stress. Heat is also good for older injuries that are past the inflammation stage. In this case heat can feel relaxing and aid recovery. What about arthritis and headaches? 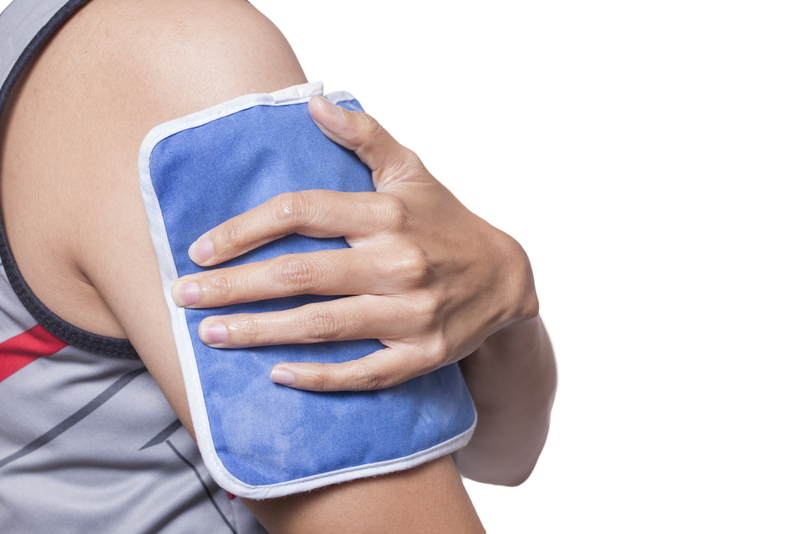 Many doctors recommend both heat and ice therapies for arthritis sufferers. As with headaches, arthritis is in a category of its own when it comes to pain management. For some people, ice is more effective with the pain, and some find heat works better. For some a combination of hot and cold works. It’s about trial and error to find the right balance. Ice and heat are never recommended when conditions don’t favor them. As an example, icing when you’re shivering, or using heat when you’re sweating. Your body may interpret an excess of either one as a threat, which causes the body to react with more pain. Ice and heat therapies can be another tool in your arsenal if you know the appropriate times to use them. It is an easy and inexpensive way to speed relief and recovery and you can use them hand in hand with our line of natural homeopathic products without fear of getting unwanted additives and chemicals you don’t want.